If a picture is worth a thousand words, then it’s hard to describe the value of video! 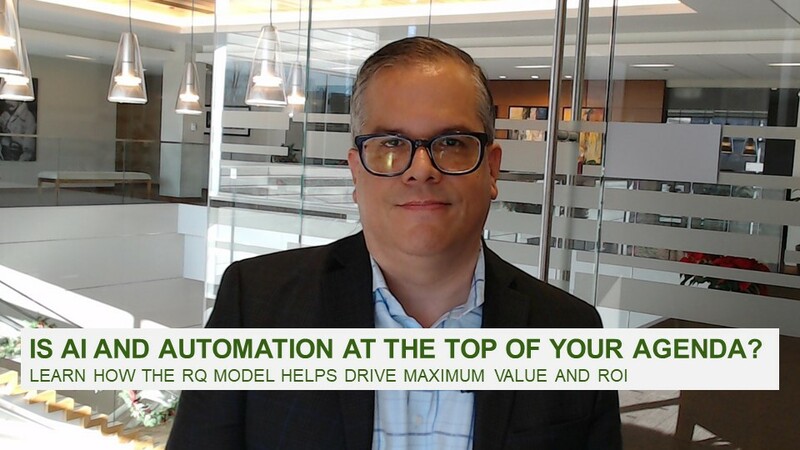 For anyone interested in learning more about robotic process automation (RPA), it's helpful to hear from analysts and other industry thought leaders about how this technology truly works in business settings. We scoured the seemingly countless array of videos available on this topic to bring you a concise list of truly relevant resources that will illuminate the inner workings of this often-discussed solution for reducing time spent on laborious, repetitive activities. The videos below start with overviews and move into thought-provoking discussions and solutions. Video 1: What is RPA? We’ll kick things off with CIO.com’s Senior Writer Sarah White. Her to-the-point explanation of what RPA is and why it’s making waves in various industries is a good first stop. This well-done PwC video explains how your team can better focus on in-depth customer issues when RPA takes manual, repetitive work off their plates. It also delves into what RPA is—and what it isn’t (an actual robot!). Steadman is the Global People Advisory Leader for Financial Services and an Insurance Sector Coordinating Partner at EY. Here, he talks about how RPA can transform HR processes such as payroll and talent acquisition. He also highlights the biggest mistakes companies make when they use RPA, such as viewing it just as an IT capability versus a business capability. Hear from Forrester Vice President and Principal Analyst J.P. Gownder about getting the most from an RPA technology investment. Hint: it’s about the business fundamentals, not just the tech. Dr. Leslie Willcocks is a Professor of Technology, Work, and Globalisation at the London School of Economics’ Department of Management. In this clip, he discusses misconceptions of RPA and how the media often promotes extremes such as overhyping positive capabilities as well as the potential for job loss. Learn from McKinsey Institute Partner Michael Chui how both machine and intellectual work is transforming through automation, including everyday customer service, marketing, and supply chain tasks. He underscores that automation should be applied to activities, not jobs. Video 7: Journeys in Transformation—RPA: Flash in the Pan or Here to Stay? 7. Journeys in Transformation—RPA: Flash in the Pan or Here to Stay? Learn from this robust discussion among a group of RPA experts about how RPA is a journey and not a destination. Hear how Tanvir Khan, VP of Business Process Outsourcing Solutions for Dell Services, views the value of RPA solutions and how it supports workers instead of threatens them. Kevin Kroen, Partner, FS Advisory, and Digital Labor/RPA Leader at PwC shares how the firm has been surprised about customer interest in solving issues that don’t fit the traditional RPA mold. In particular, he talks about risk/compliance functions where there’s a lot of work that’s intensive but may not be as repetitive as more common RPA use cases. This video takes a look at how the constant need to focus on disconnected tasks keeps teams from working on higher-level strategies. It explores the need for a single platform to centralize work and drive efficiency.